Adult Swim is a cable network operating in the United States every day from 8 pm to 6 am Pacific and Eastern Time, on Cartoon Network. Turner Broadcasting System owns the channel. Adult Swim is popular for hosting unorthodox, bizarre, and risqué content targeted towards teenagers above the age of 16. It operates in the specified timings because children of the 7-15 ages would be sleeping. You can download Adult Swim videos to your Mac and Windows with the help of a reliable video downloader. Below is the detailed guide to do so. iTube Studio Adult Swim Video Downloader (or iTube Studio for Windows) is the highly recommended, which can help you to download videos from 10,000+ sites in high quality and convert the videos to fit any platforms with no quality loss. It supports more than 150 video and audio formats of which you can easily download and convert. Apart from its strong download power, it also offers an inner recorder which can help you download those "unable to download" videos. Downloads videos from over 10,000+ online video streaming sites, such as YouTube, Hulu, Facebook, Vimeo, Netflix, etc. Downloads HD, including UHD videos from YouTube and other popular sites directly to your device. 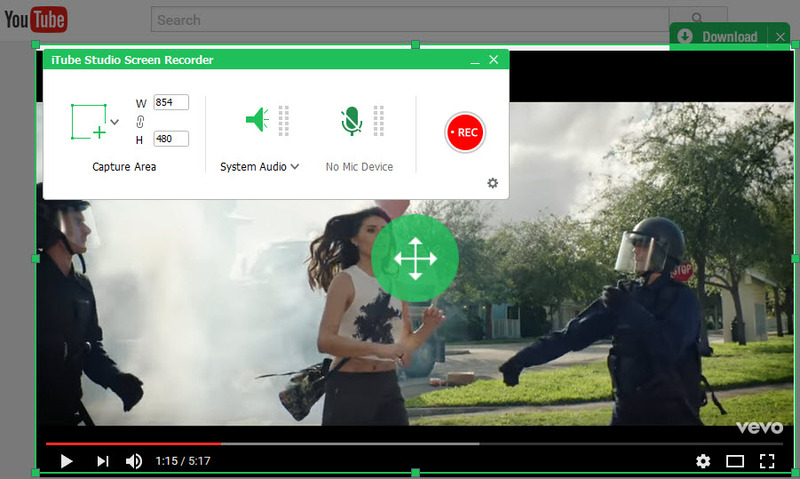 Converts videos to different output format of video and audio, even to your device module. Batch download all your Adult Swim videos, YouTube playlist videos, Vimeo videos, etc. in a go. Here we take iTube Studio Adult Swim video downloader for Mac as example, steps for Windows version are too much extent similar. Once you have downloaded the Adult Swim donwloader, all you have to do is drag it to the “Applications” app on your Mac. The method will need a few seconds to install the application. Once you downloaded the video downloader, open it. Click Download button. First, initiate the video that you want to save to your Mac from your browser. The browser can be Safari, Firefox, or Chrome. On the video player, you will notice a "Download" button at the top right corner. Pressing this button will begin downloading the video. The switch also provides you the choice to choose the video resolution. 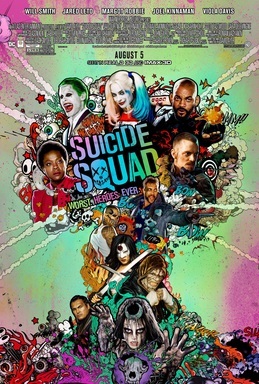 Downloading using URL. 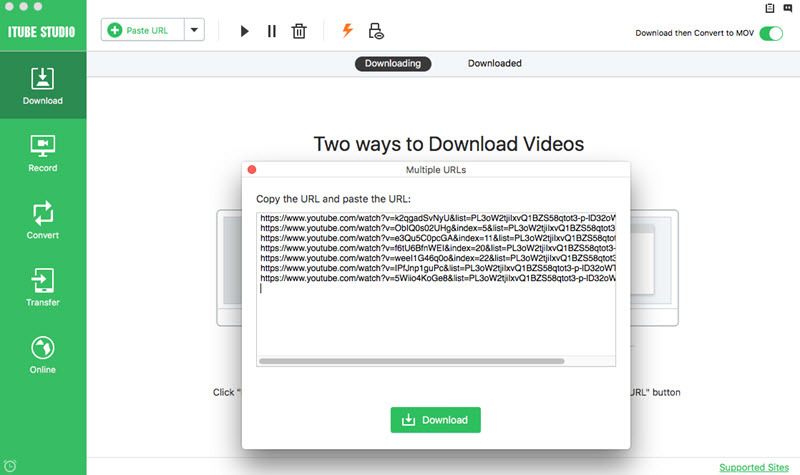 The “Paste URL” button, which you see on the main screen of the program, allows you to download videos using their link. 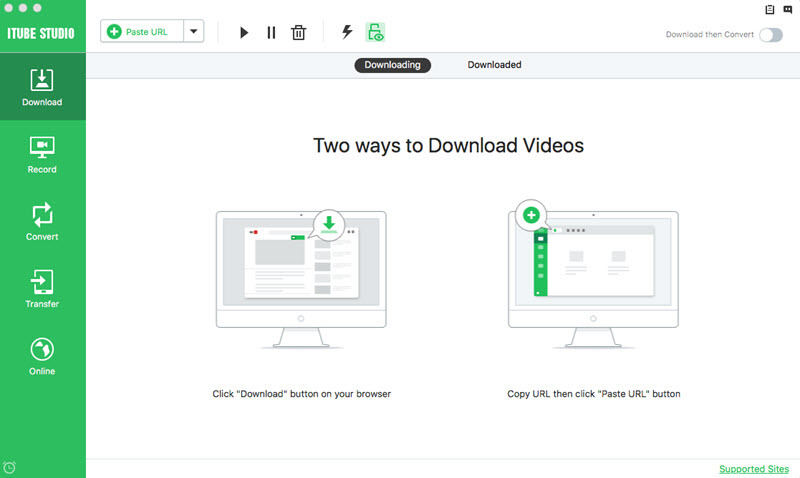 You can easily paste the URL of the video, and the software will download the video. The best component is that you can add multiple URLs, and the program will complete the list automatically. Recording the video. You can also save the video by recording the screen. Press the “Record” button from the main interface. You can then select the size of the screen, or the entire window to record the video. You can even choose the timing where you want to stop the recording. As explained above, the simple steps from the iTube Studio is a perfect way to download and save all your favorite videos, including HD, UHD, and 4K videos to your Mac from Adult Swim and many other hosting websites.